Welcome to the January 11, 2016 edition of ACM TechNews, providing timely information for IT professionals three times a week. The U.S. Intelligence Advanced Research Projects Activity (IARPA) is seeking two groups of scientists to develop brain-like computers. One group would be skilled in designing or building systems that rely on the same or similar principles as those used by the brain, while the other would have credible ideas for how neural computing can yield practical benefits for next-generation computers. "Despite significant progress in machine learning over the past few years, today's state-of-the-art algorithms are brittle and do not generalize well," IARPA notes. "In contrast, the brain is able to robustly separate and categorize signals in the presence of significant noise and non-linear transformations, and can extrapolate from single examples to entire classes of stimuli." IARPA outlines issues it wants computer scientists to focus on, such as the current state of research in the utilization of spike-based representations, sparse coding, and/or approximate computations for digital or analog computing systems. A related issue IARPA wants answered concerns whether existing hardware systems use representations similar to spikes, while another topic of interest--asynchronous computation--also focuses on existing hardware. The agency asks the same questions about the current state of research and the existence of hardware and application areas/use cases for topics such as online learning over short and long time scales, and co-local memory storage and computation. Virginia Polytechnic Institute and State University researcher Arjun Chandrasekaran and colleagues report training a machine-learning algorithm to recognize and generate humorous scenes. They say the algorithm can accurately predict whether a scene is funny, even though it has no knowledge of the picture's social context. The team asked workers on Amazon's Mechanical Turk service to produce funny scenes out of clip art, along with a short caption explaining the humor of the scene. They then were asked to create humorless scenes, and in this fashion the researchers compiled a database of 6,400 images that were 50 percent funny and 50 percent unfunny. Other Mechanical Turk workers were asked to rate how funny each scene was, and the resulting insights spurred the researchers to modify the 3,000 funny images in five ways to create a database of 15,000 unfunny counterparts of funny pictures. The machine-learning algorithm was trained to differentiate between funny and unfunny scenes by conducting two tasks--predicting the funniness of an image, and altering the funniness of an image by replacing an object in it. "The model learns...animate objects like humans and animals are more likely sources of humor compared to inanimate objects and therefore tends to replace these objects," the researchers note. Swarms of inexpensive, expendable U.S. Navy robots this summer will leave the laboratory to be tested in the field. The Navy's Low-Cost unmanned aerial vehicle (UAV) Swarming Technology (LOCUST) program will demonstrate 30 drones flying together somewhere over the ocean. A swarm "has a mission that it has to carry out, and it is self-reconfiguring so that if one drone gets taken out, the others autonomously change their behavior to complete the mission," says Swarm Systems CEO Stephen Crampton. He notes the advantage of a swarm is it can be attacked and continue a mission, compared to a singular aircraft, manned or unmanned, that can be brought down by one missile. The major breakthrough in this research is the ability of the drones to communicate and be aware of each other, says LOCUST project manager Lee Mastroianni. The U.S. Navy has been working with Georgia Institute of Technology researchers to develop a system in which individual drones will position themselves autonomously, flying in formation without being told explicitly where to go. The underlying hardware for the LOCUST program is the Coyote drone, a meter-long unmanned aircraft that was designed as an expendable reconnaissance asset with folding wings. However, Mastroianni says the hardware is less important than the sensors and software enabling the drones to act in a swarm. Researchers at Stanford and Cornell universities have developed Watch-bot, a robot that can watch people work, learn the steps that make up the task, and remind people when they forget a step. In 24 trials monitoring humans working in the office and kitchen, Watch-bot was about 60-percent accurate in identifying the missed task. Watch-bot is comprised of a depth-sensing camera mounted on a tripod, which is connected to a computer and laser pointer. The researchers say Watch-bot could help people with daily activities, especially elderly people who want to live independently. The researchers want to conduct more tests before they trust the robotic system with vital safety tasks. The system's best feature is its simplicity, notes Stanford University researcher Ashutosh Saxena. The researchers predict Watch-bot could only require about a week of watching humans working in the office or at home to learn enough to give helpful reminders. University of Cambridge researchers have developed English Dialects, an application that tries to guess the user's regional accent based on the pronunciation of 26 words and colloquialisms. The researchers aim to use the app to track the movement and changes in English dialects in the modern era. The app also asks users to create their own recordings in order to determine how dialects have changed over the past 60 years. The app follows similar programs for German-speaking Europe, which collected more than 1 million hits in four days on Germany's Der Spiegel website, and more than 80,000 downloads of the app by German speakers in Switzerland. The researchers based the app on the Survey of English Dialects, which dates back 60 to 70 years as the first large-scale documentation of English dialects, focusing on 313 localities across England. The app asks users how they pronounce certain words or which dialect term they most associate with commonly used expressions, and then produces a heatmap for the likely location of the dialect based on the answers. "We hope the app will harness people's fascination with dialect to enable us to paint a more up-to-date picture of how dialect features are spread across the country," says University of Cambridge professor David Britain. National University of Singapore (NUS) researchers have developed the EsoGlove, a rehabilitation device equipped with sensors to detect muscle signals. The researchers say the device consists of soft materials and conforms to the natural movements of the human hand, which reduces discomfort and risk of injury. "EsoGlove is designed to enable patients to carry out rehabilitation exercises in various settings," says NUS professor Raye Yeow. EsoGlove is connected to a pump-valve control system, which modulates the air pressure to direct the soft actuators. It also uses an intuitive control mechanism, which involves the coupling of electromyography and radio-frequency identification technologies, thus enabling the glove to detect a patient's intent to perform a hand action on a specific object. "With this unique approach, we can develop therapeutic tools using safe and wearable robotic technology," says NUS researcher Lim Jeong Hoon. The soft actuators in the EsoGlove are made from non-ferromagnetic materials, making them suitable for use in functional magnetic-resonance imaging studies. "We hope that the robotic glove can contribute towards investigating the brain's activity in relation to motor performance during hand rehabilitation, and unravel the functional effects of soft rehabilitation robotics on brain stimulation," says NUS Ph.D. candidate Yap Hong Kai. The European Union-funded PRESIOUS project is developing software tools intended to facilitate the work of archaeologists via computer simulations. Once the project is completed, the tools will be made freely available for archaeologists to download. "In order to better understand what monuments will look like under certain erosive conditions, for example, we built simulation software--within the timescale and resources available--that enables an archaeologist to scan a stone object and estimate erosion patterns under different conditions," says Norwegian University of Science and Technology professor Theoharis Theoharis. Other objectives for the software include helping archaeologists piece together fragmented findings, such as solving three-dimensional (3D) puzzles, and filling in gaps in archaeological objects with symmetry. To accelerate the digitization process, the consortium's industry partner helped develop predictive scanning, which uses predictions based on 3D object retrieval from repositories of previously digitized objects. The technique is useful for applications in which cost reductions are essential and precise scanning is not necessarily the end-goal. Feedback on the PRESIOUS tools from the archaeological community at various conferences, seminars, and demonstrations has been very positive, according to Theoharis. Researchers led by Duke University and the University of Maryland have won a grant from the U.S. Intelligence Advanced Research Projects Activity (IARPA) to apply ion traps toward addressing quantum bit (qubit) degradation for quantum information applications. 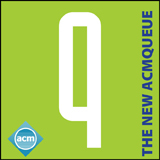 IARPA has chosen the Duke/Maryland/Georgia Institute of Technology consortium as a LogiQ awardee to pursue the goal of cohering a large number of atomic qubits to produce modular "super-qubits" that can be scaled up while correcting for errors. Ion trappers have become very proficient at controlling a small number of individual qubits, and the consortium previously proposed and conducted demonstrations indicating its approach is scalable and modular. In a modular super-qubit, the stored data is encoded into specialized quantum states comprising multiple physical qubits. Distributing the information in this manner boosts protection while also allowing for errors to be detected and corrected, without knowing the precise details of the quantum state as a whole. "We know how to build a quantum computer with 50 to 100 qubits with trapped ions right now," notes the University of Maryland's Christopher Monroe. "This is a big enough system that we cannot simulate what happens, even with all the conventional computers in the world. But some killer applications of quantum computing require thousands or millions of qubits, and error correction will be crucial to getting there." The recent terror attacks in Paris and San Bernardino, CA, are spurring calls for more government access to people's electronic communications, but privacy advocates and many cybersecurity experts are concerned about that strategy. "There are real tradeoffs here among security, law enforcement, privacy, innovation, and cybersecurity," says Columbia University professor Matthew Waxman, who co-chairs the Center for Cybersecurity at Columbia's Data Science Institute with Columbia computer science professor Steven Bellovin. Bellovin says giving the government exceptional access would not reduce the threat of terrorism but rather would create new holes in computer security that others can exploit. He supports Congress setting conditions for government access to electronic communication, much as a search warrant is required for a wiretap. Jason Healey, a senior research scholar at Columbia's School of International and Public Affairs, says terrorists have always used whatever technology was available to get their message across and recruit new followers, and access to encrypted communications only works if you know who to listen to. Law enforcement must improve its surveillance efforts, and governments need to share information, Healey adds. University of Delaware researchers have demonstrated how natural-language processing and sentiment-analysis techniques can be used to mine bad, or negative, code examples from software developer forums. The researchers say the process can be used to help programmers in their learning and code improvement efforts. The researchers presented their study at the Fourth International Workshop on Software Mining in Lincoln, NE, and it also was published in the proceedings of the 2015 IEEE/ACM 30th International Conference on Automated Software Engineering Workshops (ASEW 2015). "Having the opportunity to present our research and hear from leaders in the software field was an invaluable experience," says University of Delaware researcher Zachary Senzer, who worked with Ryan Serva on the project. "It was fascinating to see how our work fits into the large-scale puzzle that researchers around the world are solving and refining." The researchers were mentored by University of Delaware professors Lori Pollock and Vijay Shanker. University of Massachusetts Amherst (UMass Amherst) researchers have been awarded the top prize in an international contest sponsored by the U.S. Patent and Trademark Office (USPTO) and the U.S. Department of Commerce. Their winning technique uses an "entity disambiguation" algorithm that rapidly eliminates inventor ambiguity from patent records to facilitate more efficient and effective searches. Their strategy will be incorporated into USPTO's new PatentsView platform, and UMass Amherst professor Andrew McCallum's Information Extraction and Synthesis Laboratory will receive a stipend for technical guidance on applying the algorithm to the platform's records. Entity disambiguation entails distinguishing between many individuals with similar characteristics and grouping them together unambiguously, reports UMass Amherst graduate student Nicholas Monath. Inventor disambiguation is essential to USPTO, as inventors often appear in patent records with different names, spellings, and nicknames or because multiple inventors may have the same name. Contest participants were tasked with disambiguating the inventors of more than 12 million patent records filed between 1976 and 2014. "Our method uses a hierarchical approach to disambiguation, which has several advantages over alternative pairwise approaches," Monath says. "Our method considers groups of two or more mentions in determining the disambiguation and has a more efficient disambiguation procedure." New research from the University of Notre Dame provides a broader understanding of how technology is embedded in students' lives as they transition from teenagers to young adults. Researchers David Hachen and Omar Lizardo tracked the cellphone usage and behavior of 200 entering freshmen volunteers and found they quickly form social networks, generally within 10 to 15 weeks. The size of social networks varied greatly, with some numbering five or six and others 50 or more, which may be a function of personality. Women and minorities also had larger social networks, Hachen and Lizardo found. Some observers believe college-age students are tuning out of group settings as they focus on their cellphones, but the research indicates they are keeping their network informed of interesting things happening in their lives. The sizes of the social networks are fairly stable, but the composition changes periodically. The researchers plan to conduct a larger study involving student usage of Fitbits or other wearable devices to access the impact of social networks on their physical and emotional well-being.